We at Garage Door Repair Hopkins do our best to offer excellent repair services for one of the important parts of your home - the garage door. We install doors of all types, from the traditional carriage to the modern overhead styles – anything to suit your preferences. We offer an array of repairs for all garage door parts. So whether you are having a problem with your door or with the opener, we can fix it. 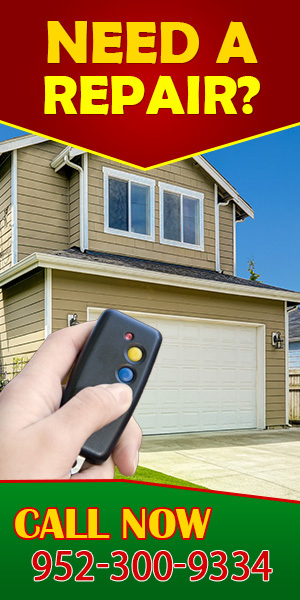 If you have just moved in and you are looking for a local garage door service, you came to the right page. We are committed to help residents in the area if they are in need of immediate repair. It is smart to have the number of a local repair company handy so that when the need arises, they know whom to call. In case you encounter problems such as broken overhead door springs, malfunctioning remote controls and many others, you can count on us. Garage Door Repair Hopkins believes that our customers deserve only the best. With this in mind, we put much emphasis on assuring that our technicians are among the most qualified persons to do the job of installing and repairing doors and openers. You will find our team friendly and professional, yet highly skilled to provide reliable services for our valued clients. If you choose to make us your local service provider, expect the best working experience. We also take pride in offering the city’s best prices for various overhead door services. 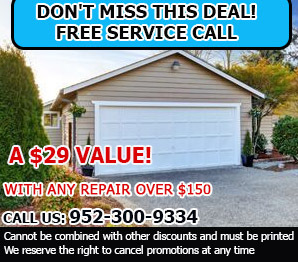 Whether you need broken spring repair or garage door adjustment, expect the most reasonable rates. Giving the best to our customers is enough motivation for us to offer a high standard of service. We begin by offering only the finest products in the market. We stock up quality doors from top brands, including Stanley, Liftmaster or Genie. Almost all brands we carry come with lifetime warranty, which goes to show how excellent the quality is. When it comes to workmanship, our loyal customers can attest to the kind of job we render. We do not leave work undone, and we explain to our customers what needs to be done, especially in complex cases. Garage doors relate to your safety and security, and these two things should never be compromised. Our team is reliable, and we commit to the fastest response possible. We can never let our dear customers hanging and waiting for us for long. With our full stocks and advanced equipment, we are able to deliver prompt and efficient service. You can count on us if you need immediate assistance, regardless of the type and brand of door you are using. If you get stuck in or out of the house because of a malfunctioning door, there is no need to panic. Just keep our number handy and we will respond to you as soon as we can. This is our commitment to all our customers. So, for all your garage door needs, call us or send us an email.